A few days ago for lunch, my tot said he wanted Chilean seabass at sushi's house. What kind of two year old is this boy? How about some grilled cheese? But nope. It still had to be in that seafood category and after convincing him, I managed to "downgrade" it to a quick sushi lunch. He started to ask for more and more fancy stuff he can think of nowadays. So, for dinner that night, I wanted something simple and doesn't require anything fancy that we have all the ingredients at home. Quinoa it is. 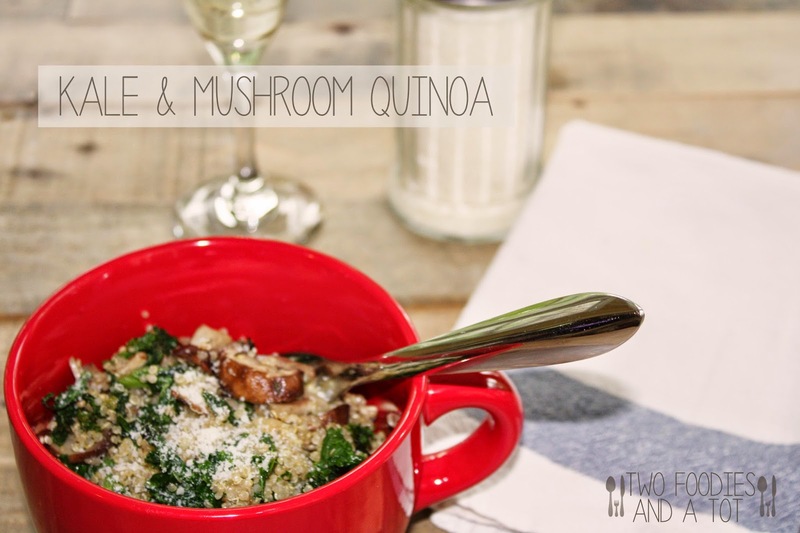 Quinoa is such a great side dish but with a little extra touch, it can surely be a fabulous light meal on its own. I love meat and fish but vegetables just as much, if not more. I actually have to have some kind of vegetable every meal otherwise I don't feel satisfied. Like when I'm having pizza, I have to have anti pasta salad to feel like it's a meal. So I had no problem eating a bowl of this as my main course for dinner. I halved the recipe and it made a hearty portion for me and my tot for main. As a side dish, full recipe will make about 4 servings. Recipe adapted from damndelicious. 1. 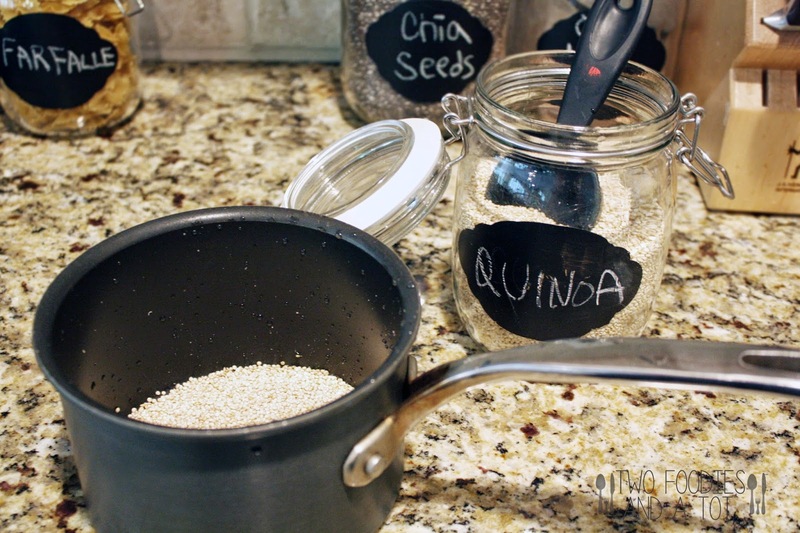 Cook the quinoa in a saucepan with 2 cups of water, set aside. 2. 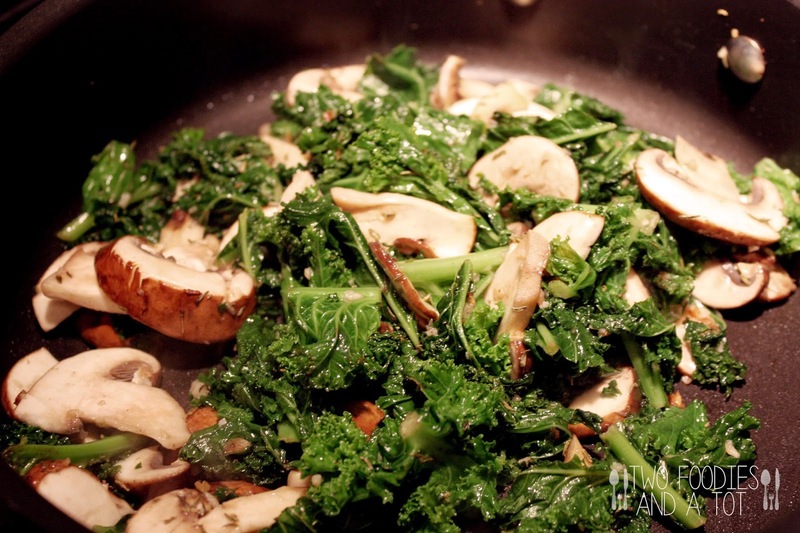 Heat the oil in a large skillet and add garlic and kale. 3. When kale start to be wilted, add mushrooms and thyme. 4. 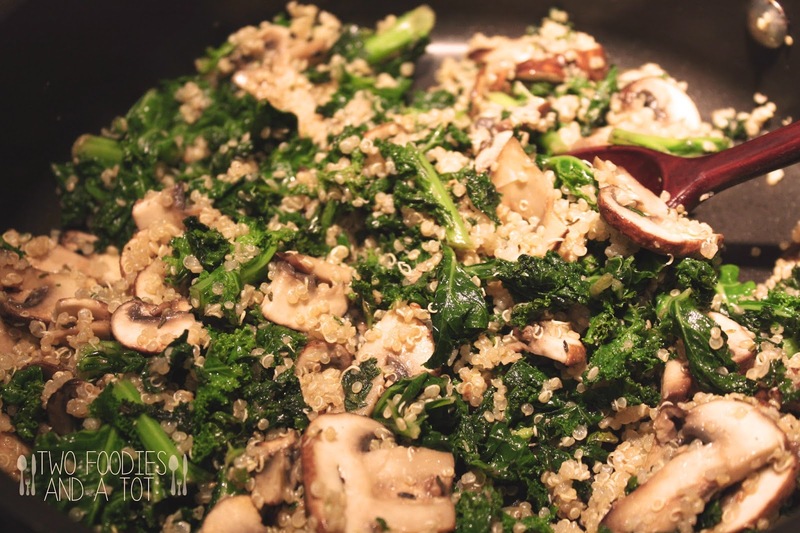 Season with salt and pepper and stir in quinoa. 5. Top it with parmesan cheese(if desired) and serve.